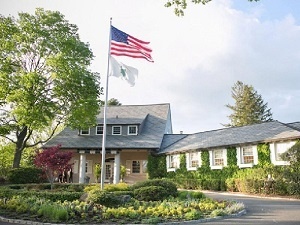 The BNC Insurance Golf Classic for Blythedale Children’s Hospital is coming on September 17th to Sunningdale Country Club in Scarsdale, NY. BNC Insurance & Risk Advisors is proud to sponsor and be a part of this most important event to positively impact the lives of children in need of complex medical care. Proceeds from this year’s event will support Blythedale’s Tiny Miracles Program, which serves the smallest and most fragile babies at Blythedale Children’s Hospital. These children come with a wide variety of diagnoses ranging from post-cardiac transplant, to premature infants with chronic lung diseases, as well as complex neurological disorders. Blythedale’s Tiny Miracles Program provides highly specialized care and supportive services to more than 250 infants every year. Part of Blythedale’s amazing results for these children is due to the financial support of those individuals and businesses wishing to give to such a worthy cause, and BNC is very proud to contribute in a meaningful way. For further information or to participate in the golf event, sponsor, donate, or simply attend dinner and a charity auction please click the link below.